Articles What is the best aquarium heater? 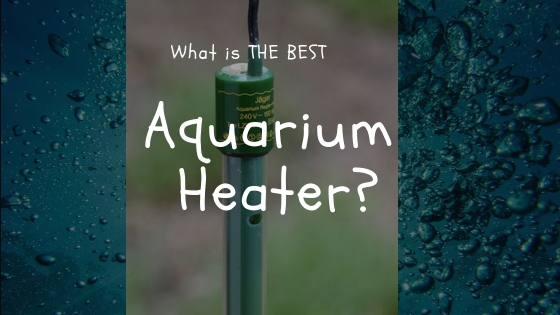 What is the best aquarium heater? Selecting the right aquarium heater is a critical decision because if it malfunctions, it could spell disaster for your tank. And those are just from Twitter…and it’s hard to rant on Twitter, given the character limitations with tweets. So let’s dig into some of the things you want to think about before buying a new aquarium heater. Which is better, glass or titanium? Decision 2: what size heater do you need? In-line heaters (also sometimes described as external heaters), like the Hydor model shown here, are installed outside of the tank, most likely behind or below the aquarium–out of sight and out of mind. This is just my observation and opinion here, but I think of external heaters as being more likely to be used if you have a canister filter (an external filter where water is already being plumbed to and from) where it can easily be installed ‘in-line’. Otherwise, the extra plumbing seems to be a bit of a hassle, and it requires a pump to drive the required flow of water. The most common type of submersible aquarium heaters has a heating element enclosed in a glass outer shell. To work properly, they need to be fully submerged under the water at all times. If they run for any appreciable amount of time outside of the water (or above the water line if there is evaporation), they will crack and malfunction. I read accounts online of (inexpensive) glass heaters shattering when operating out of the water for even a few brief minutes. Yikes! You also have to be careful that you don’t bang them too hard into the aquarium wall or rocks, etc. The main alternative to the traditional glass submersible aquarium heater is the titanium heater. In a lot of ways, titanium could be considered to be the ultimate heating element for an aquarium, because it is lightweight, conducts heat well (and transfers that heat to the water efficiently…which is what you want), and it won’t rust in saltwater. If you have a relatively large aquarium (I’m not judging!) about 75 gallons or larger, titanium may be your only option, if you want a heater in the ~300 watts or larger range. Which brings me to one of the next points: what size do you need? Side note here, if you look closely, some models that look like a glass heater actually have an aluminum core, which is actually more effective at dissipating heat than aluminum, but due to the soft properties of aluminum (think about the foil in your kitchen), it tends to be covered in a protective plastic sleeve anyway. The image here is the model I bought a few years back. Both heater designs will do their job and heat your water efficiently. From my perspective, I like the peace of mind knowing that a metal titanium heater won’t crack, break or explode. I also like the fact that most models have the thermostat/temperature setting far down the cord, which makes it easy to check and adjust the temperature, without getting your hands wet. Since the aquarium heater is responsible for warming up all the water in your tank and keeping it at a constant tropical temperature (usually ~78-82 degrees F), you want to make sure you have a large enough heating element to get the job done consistently. An undersized unit will struggle to keep up when the house is cold. An oversized unit will run intermittently. Easy to control and set? Most heaters (but not all) will allow you to adjust the setting–but not all heaters are easy to set or easy to read. A few years ago, when I had a bunch of tanks in my house running (that’s a separate story about addiction…), I had a few cheap heaters I was using to heat the rotifers, grow-out tubs (for fish fry), etc., and those heaters had an adjustable screw-type mechanism for setting the temperature. They weren’t impossible to read…but they weren’t the easiest things to read. Not the exact model but check out this one here–see what I mean? Even if the dial is easy to set and read…where is it located? Will you have to reach your hand into the back bottom of the tank to adjust the temperature, or is the controller somewhere more convenient (like on the power cord) where you can adjust it easily . Seems a bit superficial, but you don’t want to buy another aquarium heater for a very long time, so why not take the time to think that part through and get the right features. Shatterproof -means the glass won’t go everywhere when it breaks, but this does not mean indestructible. In this era of instant, digital information, it is important to look at the real-world experience of other aquarium owners. Take a look at the reviews on Amazon and other online retailers and try to read between the lines. The star ratings are a good place to start, but try to dive a bit deeper. What are the most common 1-star reviews about–did the titanium heater stop working after 8 months or are there reports of glass shattering? Do they tend to run hotter or colder than indicated? or did more than one person complain it arrived dead in the box? I do my best to provide helpful, accurate information here–but this is not the only source. Read those reviews, please. The best aquarium heater for your tank might not be the exact same model that is right for someone else. Hopefully, after taking some of the factors from this article into consideration, you’ll feel better equipped to sort through and pick the best model for your situation and budget. Thanks for the heater info. In your opinion how often should you replace heaters? Wondering if they are more prone to failure as they age? Hi Dave, that’s an important, but tricky decision. I’ll disclaim that I haven’t seen anything scientific to prove this out, but I can tell you that I personally replaced mine most recently after about 7 years of use.